Off the Clock (2018) gives practical advice on how to get more out of your time, from freeing up your busy schedule to achieving more work in shorter intervals. Using personal anecdotes as well as scientific insights, Vanderkam explores why some of us feel like we have all the time in the world, while others feel as though time is slipping through their fingers. 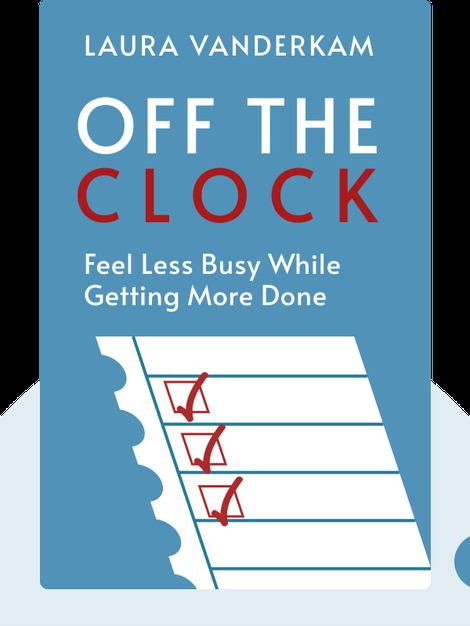 In an exclusive blink, Laura Vanderkam explains what you can do today to feel less busy and get more done. 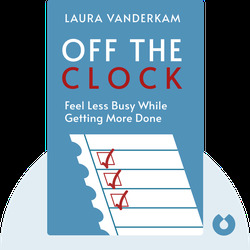 Laura Vanderkam has authored several productivity and time-management books. Her 2016 TED talk, “How to Gain Control of Your Free Time,” has racked up over five million views, and she has contributed to publications such as the New York Times, Fast Company and Fortune.